The LIGHTSITE I study is the first prospective, sham controlled, double-masked clinical study to evaluate the effectiveness of photobiomodulation (PBM) treatment in patients with dry age-related macular degeneration (AMD). The study included 46 eyes and subject participation lasted 12 months. Results from the LIGHTSITE I study showed clinical improvements in visual and anatomical outcome measures following multi-wavelength PBM. Improvements were observed in Best-Corrected Visual Acuity (BCVA) and Contrast Sensitivity (CS) in addition to improvements in pathological hallmarks such as Central Drusen Volume (CDV). These data provide a strong foundation for the utility of PBM therapy and demonstrate disease-modifying effects. The PBM therapy (three treatments per week for three weeks) was most beneficial in dry AMD patients immediately following the completion of the treatment sessions highlighting a need for follow-up maintenance therapy. Retreatments at a six-month interval were performed to maintain clinical benefits. No device-related adverse events were reported throughout the course of the study highlighting a favorable safety profile. 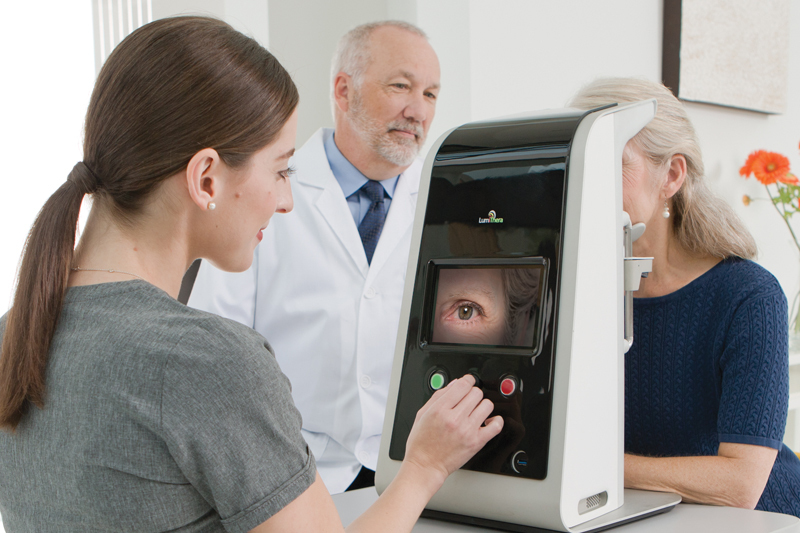 The results demonstrate that the therapy is both a safe and effective treatment for early stage dry AMD patients. This foundational data will accelerate our learning to develop options to treat complicated degenerative eye diseases, where patient options are limited. The current trial results will be used to refine the upcoming multi-center clinical trials expected to start initially in Europe, and then in the US. The 30-subject pilot study was partially funded from a Small Business Innovation Research (SBIR) grant awarded to the Company from the National Institute of Health and the National Eye Institute. Two earlier investigator-led clinical studies demonstrated clinical and pathological benefits of PBM in patients with dry AMD. The TORPA I clinical trial demonstrated improvements in clinical outcomes of vision which extended to improvements in pathological “drusen” in the TORPA II trial. The TORPA II clinical trial assessed changes in BCVA, CS, CDV and CDT in a total of 42 eyes. Significant improvements in BCVA and CS were seen at the completion of the 3-week treatment paradigm and after 3 months. In addition, CDV and CDT were significantly reduced while overall central retinal thickness and volume remained stable. These findings reveal the potential benefits and further support the utility of PBM treatment in dry AMD. Results from the TORPA II clinical trial were published in December 2016 in ACTA Ophthalmologica, a top peer-reviewed Ophthalmology journal. LumiThera will soon be enrolling subjects in clinical studies in Europe and the US. If you or someone you know is suffering from dry AMD, click here to find out if you qualify for our clinical trial.